There are many translation tools around for Delphi: they can be free or not and of course each one has pros and cons. I have decided to write my localization tool called TLanguages which is a component that is compatible with VCL and FMX! Open the Editior. If you already have a file, then just open it! Otherwise, write in the box the path in which you want the new file to be created. Now add some words. The Default language cannot be deleted and it will be used (surprise) as default language. Click Save Edits and open the Delphi IDE. Create a new project (just as test) and the click Project -> Resources and Images -> Add... -> load the json file containing the translations. Give it an unique resource identifier (URI) and keep it in mind! Create the class TLanguage and pass in the constructor the URI you have written above. Now if you want to localize a word, just call the localize method and it will return the translated string! If you call localize('italian', 'test') the result will be 'prova'. Pretty easy to use! The zip file doesn't contain a virus that destroys your computer. 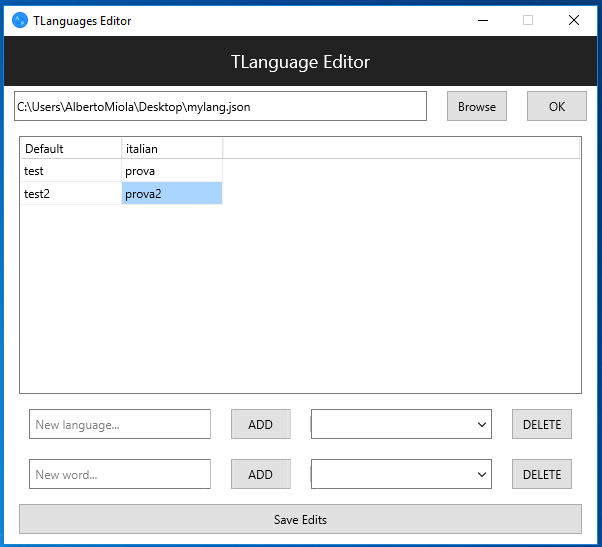 Instead, it contains the delphi package (the TLanguage component) and the editor which allows you to manage the languages. 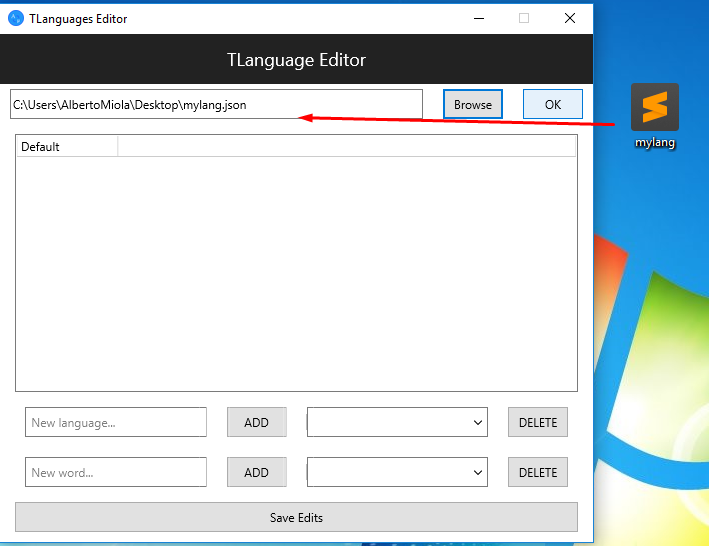 You need to open the package called ProjectLanguages.dpk, then on the top-right part of the IDE (Project Manager) right click on Build and finally click Install. Then you have to go into Tools -> Options -> Delphi ->Library Path and add the path to the source file called TLanguage.